Two recent events have made me reflect on "The Fleishman Rule," which I was indoctrinated as part of my collaboration with Leo and has become a corner stone of my research program. "The Fleishman Rule" postulates that nature likes to play mysterious tricks on researchers by giving us a little glimpse of hope and then, right before we are ready to start the victory dance, crushing us with a nice dose of reality. Naturally, this reality is usually served with some degree of frustration and second-guessing of our abilities. The rule applies regardless of how meticulously or well-designed we believe an experiment was conducted. Therefore, Leo is a strong believer that the first set of data collected in an experiment should be treated as preliminary results. Yes, there is not such a thing as an experiment that can be completed in only one attempt. 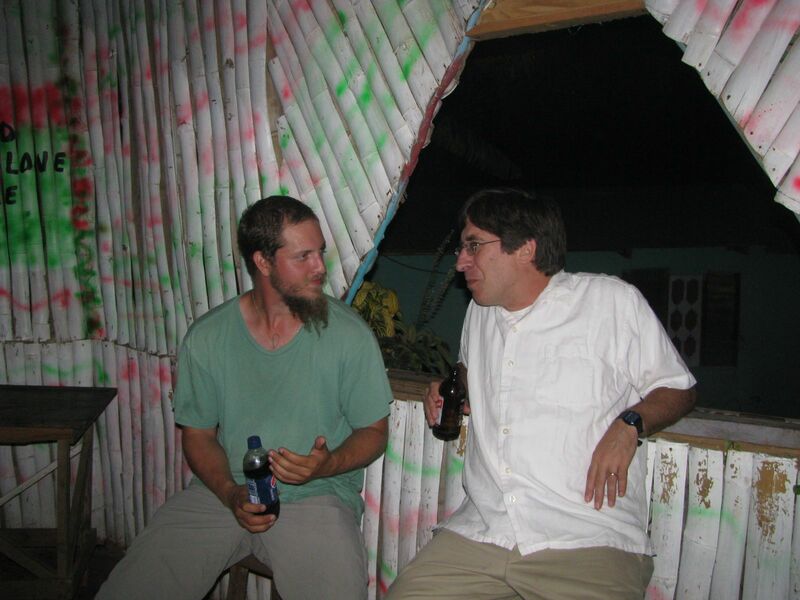 However, no need to fear: "The Fleishman Rule" is what makes research exciting. First, the fun part of research is to be wrong most of the time. It would not be fun if our predictions were always correct; instead, figuring out mistakes is what pushes us to be creative and to do better jobs as scientists. As I have told my students many times, "an easy problem is not a fun problem". Second, nature is not deceiving. The initial stumble is only a test of our willingness to push harder. And if we are willing to do so by conducting the experiment a second or third time, we will achieve our goal of understanding the complex dynamics of the natural word. Today was the first day of our attempts to encourage A. cristatellus females to lay eggs here at the Leal lab. Following information that posted at Anole Annals and through advice graciously given by Liam J. Revell, Thomas Sanger, and Yoel Stuart we decided on clear, plastic containers filled with damp vermiculite along with fake “sea grass” purchased at Petsmart. Vermiculite, which retains water relatively well, was dampened in order to prevent dessication of the eggs. Fake plants were recommended to us in order to endure frequent egg checks, which natural, potted plants may not live through. We used two sizes of containers (Ziploc-brand), as well as various ratios of water to vermiculite (mostly 1 gram of vermiculite to 1 milliliter of water). The larger containers fit about 40.0g of vermiculite, while the smaller containers fit about 20.0g. Each container housed four “pieces” of the imitation sea grass. Within an hour after introduction of the containers to the cages, several females had already made themselves at home. Keep your fingers crossed and stay tuned for updates! NO need to wait until tomorrow for an update!!!! Maria just found our first egg. It took less than 24 hrs for a female to feel comfortable with the "Chipojo Coop" Clearly Maria has the touch, and we are lucky to have her spearheading this project. Anole cognition has made it to the classroom. As a scientist, it is always flattering when other scientists read your work and even more flattering if your research opens the door to further questions. However, when high school students find your work sufficiently interesting to make it the topic of an independent study it is a completely new ball game. We were very lucky that our research in anole cognition caught the attention of a group of freshman and junior high school students from Cary Academy. The students read our paper on behavioral flexibility and used it as a springboard for their Discovery Term program. Yesterday, we hosted the students. As part of their visits, the students saw first hand how behavioral trials are conducted and how to collect and analyze behavioral data. 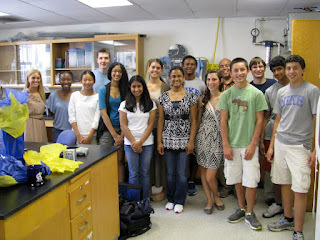 They’ll use this experience in writing their papers and designing their experiments to test cognition. The students also learned about the reptile brain and how it is related to the more commonly studied mammal brain. We discussed the methods used to study neuroanatomy, from collection of the brain to histological sectioning. 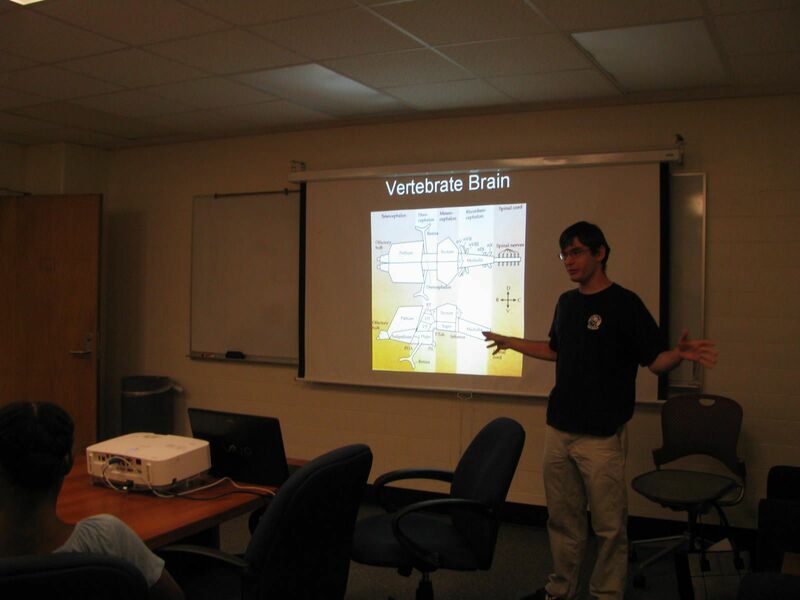 Although Brian covered some fairly complicated issues in brain evolution, the students were ready for the challenge.